South Queensland Solar uses 3 suppliers for its heat pumps. Heating a swimming pool electronically does not have to be expensive. Our full inverter technology with smart controller and a variable compressor proves this. 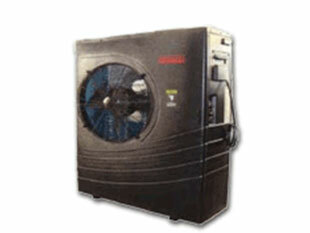 The compressor and fan motor adjust the speed until the desired temperature is reached. By this process the temperature of the pool is efficiently maintained, which is a direct saving for you. Our full inverter heat pumps are 25% more efficient than a standard inverter heat pump and 50% more efficient than the standard on/off heat pumps. There is a 10 year warranty on the Titanium heat exchanger, 6 years on the Mitsubishi compressor, and 2 years on electrical and labour. The Force range of heat pumps have a compact sleek design and are the most energy efficient non-inverter heat pump on the market. There is a 15 year warranty on the heat exchanger, 5 years on the compressor, and 2 years on electronics and labour. Hurlcon heat pumps can provide up to 6 times more energy than it uses in electricity. High/Low flow gas and water pressure switch. 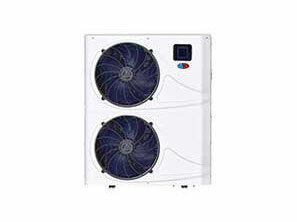 8.5kW to 210kW heat pumps. Heating from just $3 per day. *Conditions Apply. 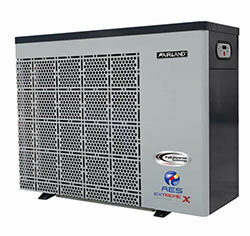 There is a 10 year warranty on the heat exchanger, 3 years on the compressor, and 1 year on the electric control.